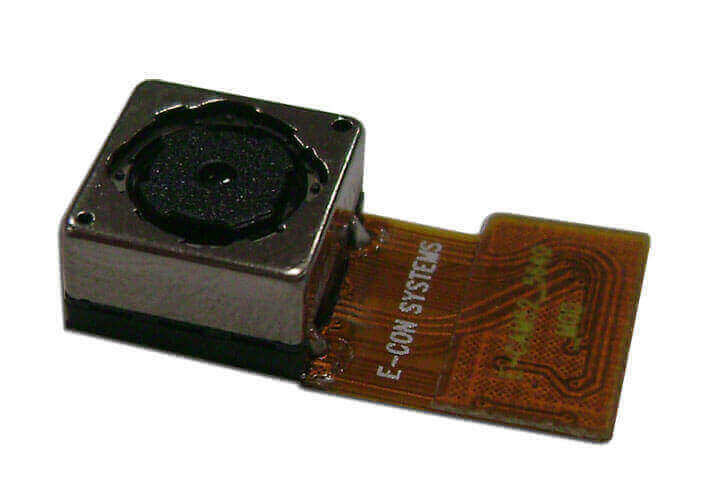 The e-CAM52A_5640_MOD is a Parallel Camera Module from e-con systems featuring Omnivision OV5640 image sensor. Any processor system like I.MX6, OMAP4430, OMAP4460, OMAP35x, AM37x, DM37x that has a Parallel interface can integrate the e-CAM52A_5640_MOD. Customers who own platforms that support USB 2.0 and are interested in evaluating the 5 mega pixel HD camera module can directly buy e-CAM51A_USB from e-con Systems. The daughter card (ACC-iMX6-5640CAM) can be bought by customers choosing to evaluate the e-CAM52A_5640_MOD camera solution with a direct interface on the Ankaa. The evaluation kit comes with Sample application for Video Preview and Still Capture (WEC2013 / Linux / Android). The daughter card (ACC-3730-5640CAM) can be bought by customers choosing to evaluate the e-CAM52A_5640_MOD camera solution with a direct interface on the Almach - Development Kit for DM3730 Processor.